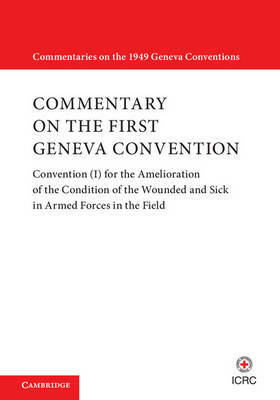 The application and interpretation of the four Geneva Conventions of 1949 and their two Additional Protocols of 1977 have developed significantly in the sixty years since the International Committee of the Red Cross (ICRC) first published its Commentaries on these important humanitarian treaties. To promote a better understanding of, and respect for, this body of law, the ICRC commissioned a comprehensive update of its original Commentaries. Its preparation was coordinated by Jean-Marie Henckaerts, ICRC legal adviser and head of the project to update the Commentaries. The First Convention is a foundational text of international humanitarian law. It contains the essential rules on the protection of the wounded and sick, those assigned to their care, and the red cross and red crescent emblems. This article-by-article Commentary takes into account developments in the law and practice to provide up-to-date interpretations of the Convention. The new Commentary has been reviewed by humanitarian-law practitioners and academics from around the world. It is an essential tool for anyone working or studying within this field.